Key difference: Ill and Sick are two words of similar meaning generally used to refer the unwell or not desirable health state of an individual. Basically, the word ‘sick’ is an informal term used to refer the short-term diseases or ailments; while, the word ‘ill’ is more formally used to refer any long or short-term diseases or ailments. Often, when there are cases of any unhealthy condition or when an individual is going through any complications or problems related to heath damage, people start pointing them as sick or ill. Hence, the terms ‘sick’ and ‘ill’ are used on a general basis for describing unhealthy or sick individuals. Though these terms are used in similar context, but they have a clear differentiation. ‘Sick’ is a term used to describe an individual suffering from short-term diseases or ailments, like flu, cold, cough, fever, sore throat, etc. it is also commonly used to refer for feeling like nausea. Sick is more likely of a feeling type which that particular individual feels, especially the feelings reflects to lowness or depressed type regarding some not happening experience in the body. In English, the term is considered to be informal in use; especially the Americans use it in their dialects. On the other hand, ‘ill’ is a term used to describe a person suffering from some long or short-term diseases or ailments. Any individual who does not have a good health and who is suffering some health related issue for a too long time are refereed as ill individuals. Illness is a state of a person who is ill; also a person going through cancer or other pneumonia may also be considered as ill. While, a person affected with a minor fever or cold can also be called as ill. Like sick, ill also refers to a feeling of nausea. More often, the term ‘ill’ is more formal in use for referring to individuals who are sick. Hence, both the terms are used for different context and places, as these words mean the same, can be used for different highlights. 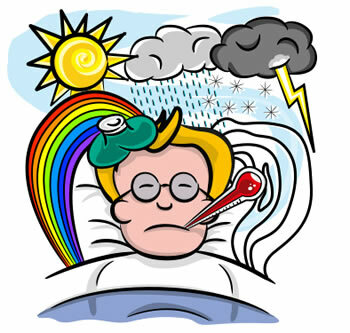 The word sick is informal, while, the word ill is formal in some contexts. But, when used for addressing or referring to some leave format, it is generally refereed to as sick leave and not ‘ill leave’. The term ‘sick’ suggests a sore throat. The term, ‘ill’ suggests something serious like a stroke. Who use them more in their dialects? British seem partial to ‘ill'. Short term diseases and ailments. Long and Short term diseases and ailments. Non-humans tend only to be sick e.g. a sick cow, a sick joke, a sick economy. Thank you so much for this substantial and clear explanation of the subject! I´ve added this link to a posting about this topic on my EFL edublog!